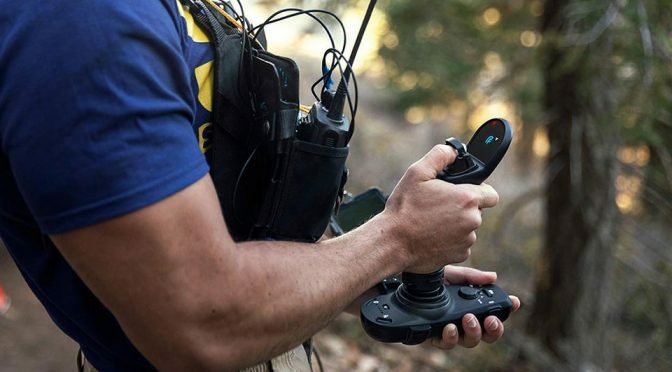 There is an obvious reason why almost all consumer and commercial drones are controlled using dual stick controllers, while military drones use a joystick similar to those found on aircraft. A dual stick controller lets you hold and maneuver at the same when there is no solid base like a table to rest the controller on. A military drone operator, on the other hand, has a table, complete with display and whatnot to create a cockpit away from cockpit environment. Notwithstanding this reason, former NASA astronaut Scott Parazynski begs to differ. He believe that a joystick is key to precision control and hence, he and his team at Fluidity Technologies developed the FT Aviator, a joystick controller for drones. 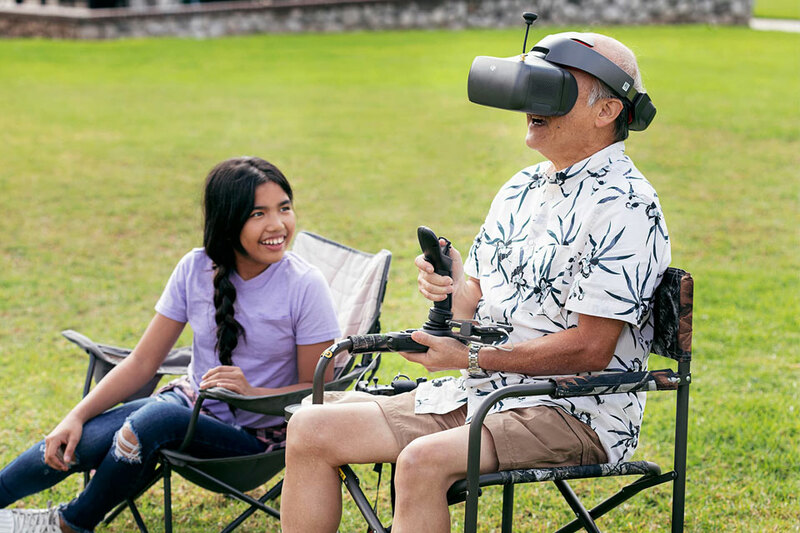 I do agree that using joystick will be less challenging than trying to control to wrestle control with two thumbs (or thumb and index finger using both hands if using a neck strap), but the thing is, one other hand has to hold the joystick at its base to serve as a ‘table’ the the controller. I’d say it will be an odd, if not awkward experience, for someone like me who are used to the traditional way of operating a RC vehicle. 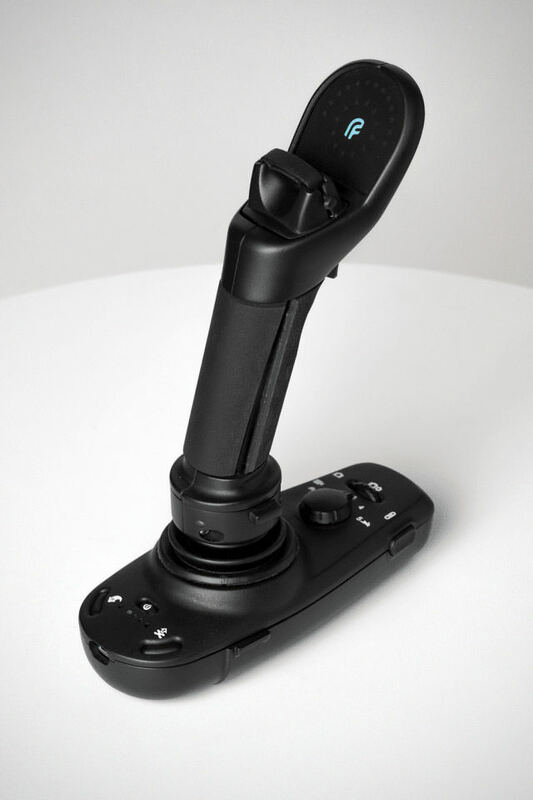 But FT Aviator is not as simple as a mere joystick. It is has a base that has some more buttons and dials, including “Return to Home” button, Launch Button, video record button, camera rotary wheel, a dial for tweaking drone sensitivity and more. As you can see, it is a complete package that replaces the traditional drone controller. A phone holder accessory can be attached to either side to enable first-person view flight. The joystick itself has 4 degrees of freedom of movement, covering x, y, z and yaw, that should afford a more natural control over thumb-operation. Additionally, there is a “deadman’s switch” built into it to ensure the controller will always return to the center to eliminate accidental drift (think throttle thumb stick on traditional RC transmitter). Finally, there is this thing called situational awareness display which are LED indicators found on the joystick that let you in on the drone direction and the relative direction it is facing. 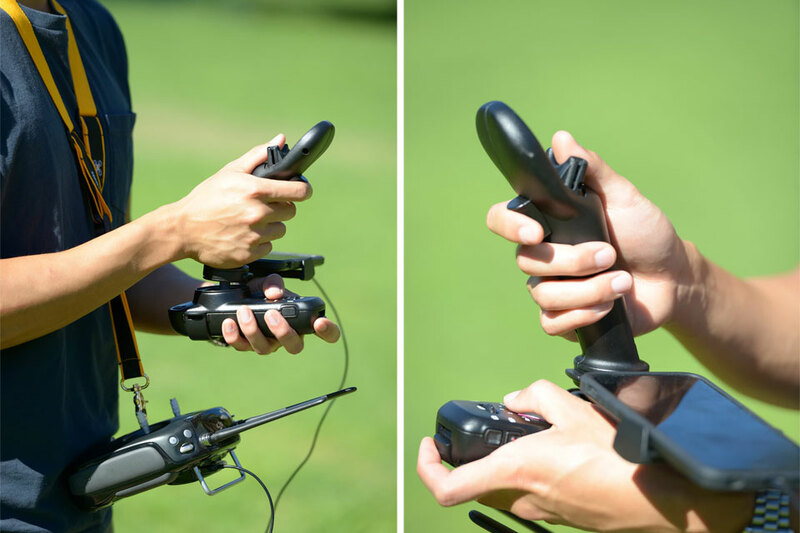 The FT Aviator feels like a complete aircraft controller and while it is touted as single-handed controller, it use is never about just one hand. At the very least, the other hand need to be holding the joystick as the other work on the joystick – even if it has a place to rest on other than your hand. I am not going to lie here. 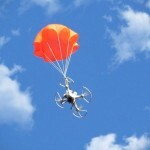 FT Aviator is a novel approach to drone control, but I am not sure it will appeal to drone operators. 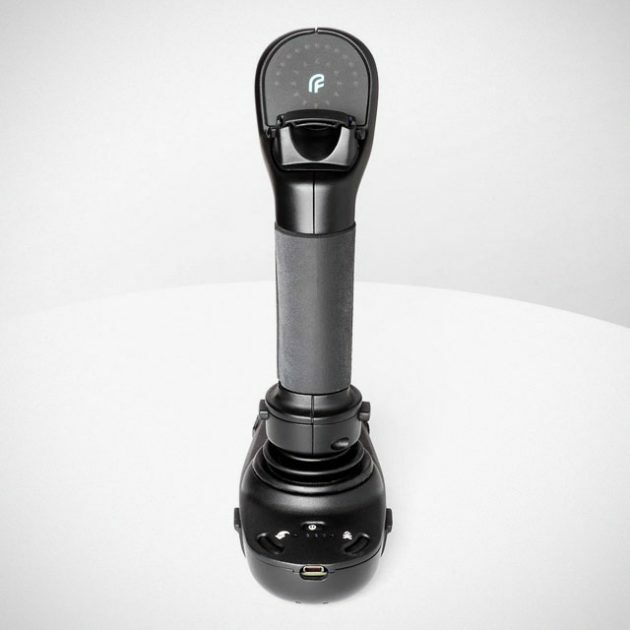 I may be a skeptic here, but I also cannot dismiss the possibility that FT Aviator may just change drone controller forever. FT Aviator Drone Controller is on Kickstarter where you can pre-order a unit for 50 percent off its eventual retail price, at $225. 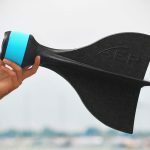 The campaign is funded and so, if all goes as planned, Fluidity Technologies expect to be shipping out the controllers to backers sometime in February 2019.
Who Needs A Drone When You Can Throw A GoPro Into The Air?